RAILROAD SPIKE TOMAHAWK | muted. 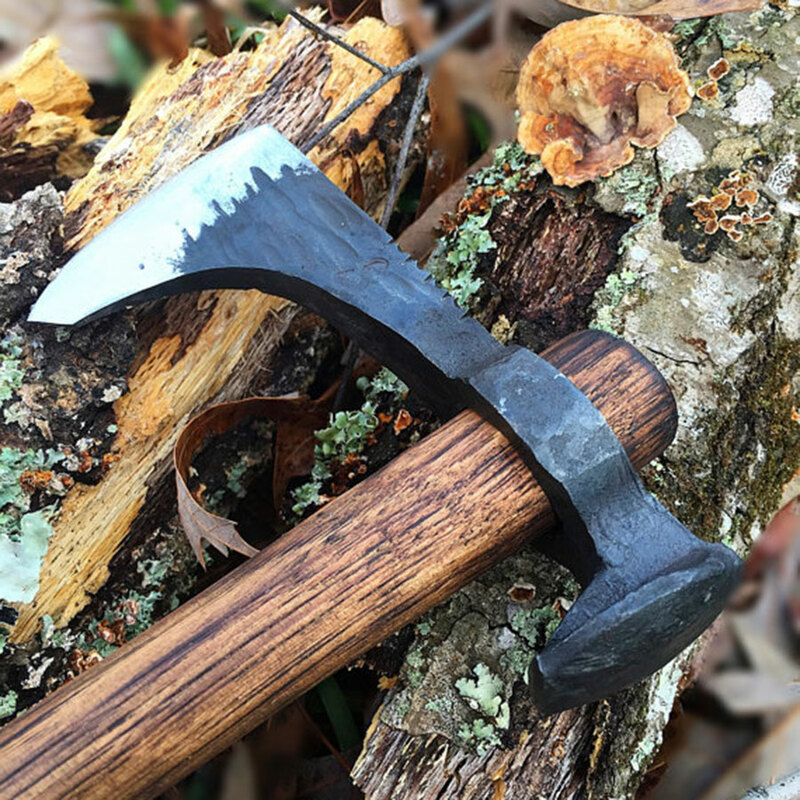 The Railroad Spike Tomahawk ($120) is for those who are adventurous at heart and love handcrafted tools that move them a little closer to nature. The tomahawk has many uses and has been used over time for defense, woodwork, field dressing wild game, target practice, splitting kindling and a million other tasks. The head of the Railroad Spike Tomahawk is solid steel, but lightweight so it can be carried all day. Its blade features a wide edge for both chopping and slashing. The opposite head can be used for hammering nails or pounding steaks. The Railroad Spike Tomahawk is handmade in Texas so allow 3-5 weeks for delivery.